What Can WHISNews21 Do To Get A Bus Like This? Nashville, TN — Award-winning brother/sister duo THE ROYS have aligned with Team RealTree™ Outdoor Energy Drink for a strategic partnership. 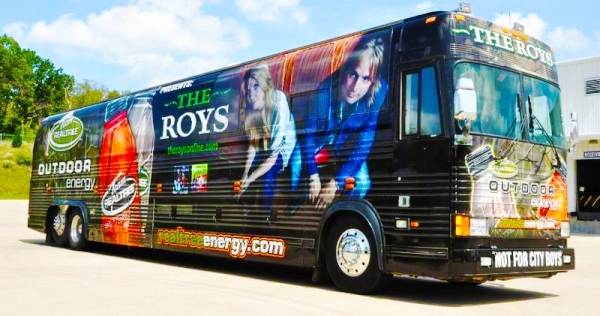 THE ROYS will travel to their upcoming shows in a newly-wrapped bus with design and camouflage graphics courtesy of RealTree. “It looks amazing,” says Lee Roy. “Very earthy,” Elaine adds with a wink. Other marketing efforts will be announced soon. Team RealTree Outdoor Energy Drinks are available in several flavors. White Buck delivers a traditional energy drink flavor profile, but with a crisp, clean finish you’ve come to expect from Team RealTree Outdoor Energy. Blaze Orange‘s crisp, refreshing flavor is paired with the perfect drinkability without being too sugary; easy to drink with the right amount of energy kick makes any hunt one to remember. AP Citrus is cool and refreshing; carbonated with a hint of lime, the smooth and light flavor gives every outdoorsman a boost of energy to stay focused and alert. Low-Carb Cream Soda is a new take on a classic; delivering all the flavor of a traditional cream soda with an extra energy boost–the only thing you sacrifice is calories. “We’re truly excited about our partnership with The Roys,” says Jamey Grosser, Managing Partner of Team RealTree Outdoor Energy Drink. “Lee and Elaine are hard-working, energetic and talented. They are in touch with Middle America and aren’t afraid to get their hands dirty and enjoy the great outdoors.” Team RealTree Outdoor Energy Drink’s slogan is “Not For City Boys,” but the beverage, like The Roys’ music, appeals to fans from all walks of life. Currently the reigning Inspirational Country Music’s Bluegrass Artist of the Year,the siblings are considered to be one of the fastest-rising acts in the business. The Roys are heralded for a forward-thinking instrumental attitude that contrasts and complements their more traditional vocal style. The duo has toured extensively throughout the U.S. and Canada, performing at huge Festivals and Fairs and reaching larger and larger audiences. Lee and Elaine will need some Team RealTree Outdoor Energy Drinks in hand to tackle their next road run. 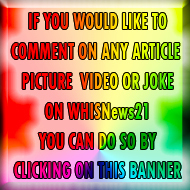 Upcoming appearances include numerous high-profile television and radio broadcasts surrounding the release of their newest EP, NEW DAY DAWNING, which debuted at Number 2 on the Billboard Bluegrass Albums Chart last week. 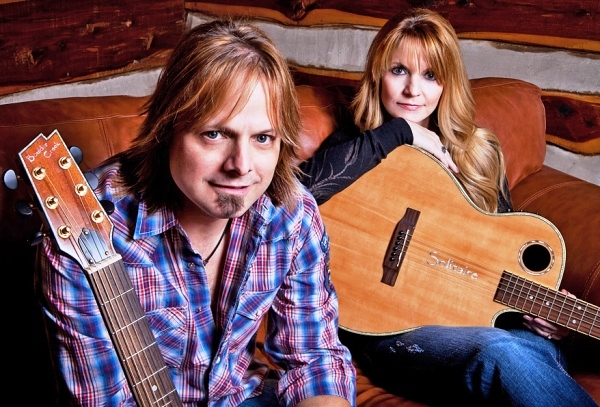 THE ROYS’ full itinerary, photos and audio clips are available at www.THEROYSonline.com. Copies of NEW DAY DAWNING are available at retail outlets Wal-Mart, Music Millennium, The Disc Exchange, The Country Music Hall of Fame, Ernest Tubb Record Shops and online at AMAZON and iTunes.